← Summer at Analogue Vineyard 2010: Paint, Wildfire and Thunderstorms! 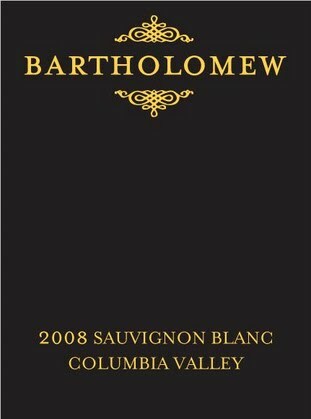 After a 3 week dryspell from visiting any tasting rooms we (Jay and I) finally made it to Bartholomew Winery to visit their brand new tasting room, in what used to be the old “Rainier Brewery”. First up was the 2008 Sauvignon Blanc: On the nose it had this nutty, caramel, and tropical fruitness to it with just a bit of grassiness. The palate was toasty, nutty with tropical notes again. I could of swore it was oaked but apparently it wasn’t, the fruit just came from a warmer climate. $14. Next we tried the 2007 Orsa: %69 Syrah, %13 Grenach and 18% Mourvedre. It had aromas of dark berry, cassis, apple fruit roll ups and game! The flavors consisted of loads of berry flavor, especially blue berry. Lastly we had the 2007 Reciprocity: %50 Cabernet, 50% Carmenere. On the nose I got espresso, dark berry, slate, plum and just a touch of wet wool. The flavors again had espresso and dark berries, deep toast and jalapeno. This was big and in your face and I would most definitely hang on to this beast for a few years! This Fall, they will release two more blends, the 2007 Cuvee’ Rouge and the 2008 Cuvee’ Blanc, a blend of Viognier and Roussanne. Posted on August 24, 2010, in Local Wineries and tagged 2007 Orsa, 2007 Reciprocity, Rainier Brewery, Sauvignon Blanc. Bookmark the permalink. Leave a comment.